A number of studies have recently told us of the dangers of blue light, and the need to filter blue lights from our monitors and screen as much as possible. Not all blue light is damaging to us as obviously, the sky is blue, but this is one of the reasons that blue light can be confusing and be straining to our eyes. Blue lights before bed can convince our brains that it is the color of the sky and it is not night time yet. The excessive blue lights that they use to display images on screens can lessen the contrast and strain our eyes, causing fatigue and headaches. 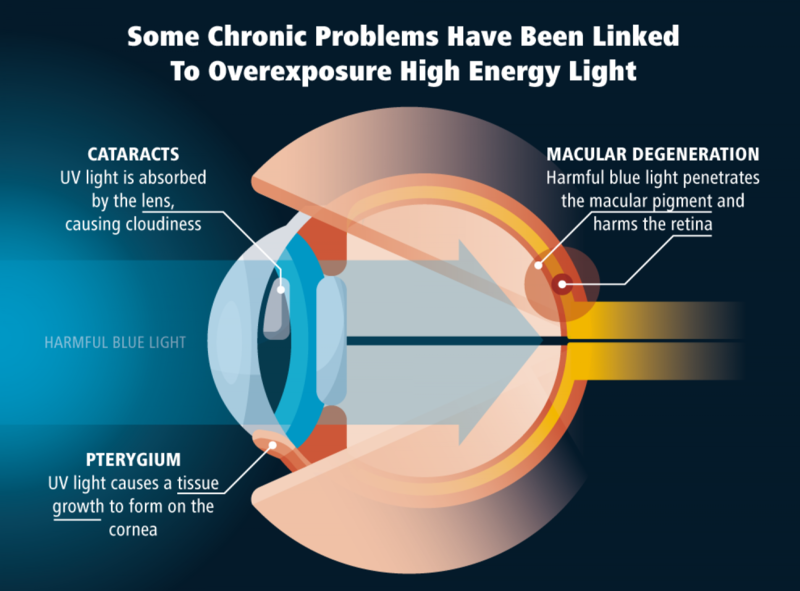 So, what can we do to reduce the amount of eye strain caused by the blue light? When researching the type of glasses that you could use to reduce blue light related eye strain, you should take your specific eye needs into consideration. If you wear glasses to see then you will need to take this into consideration when looking for the right lenses for you. If you do need glasses, but prefer not to wear them, there is the option of getting lenses. 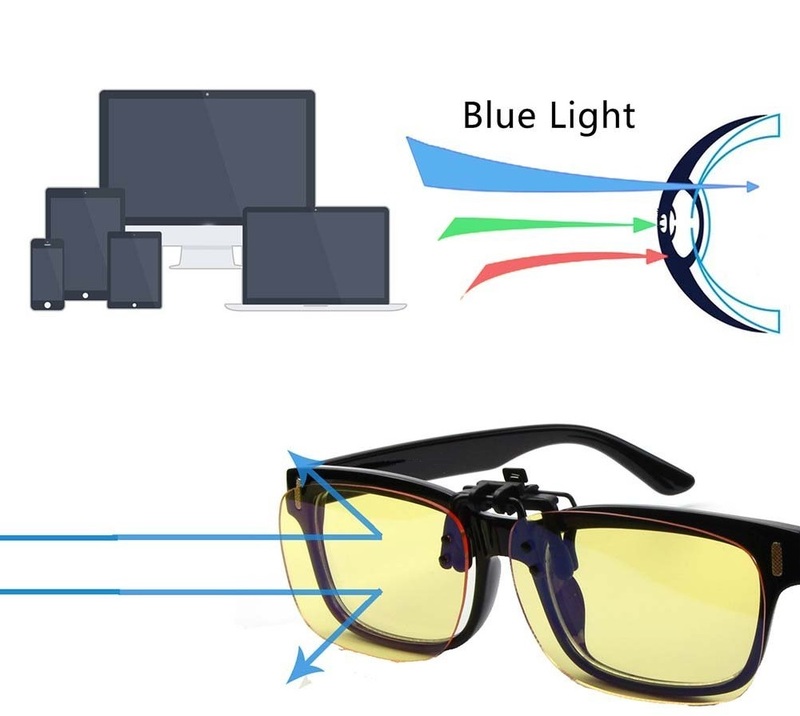 But blue light blocking glasses do not need a prescription to buy, just a little research. Aesthetics can be a concern for some people, though these will be glasses that you will generally only use inside when using your desktop. You can use them with a phone or tablet as well, though most people use them when working inside. A lot of major brands are working on their own blue filter glasses, and this means there are a lot of options out there for glasses frames. Blue light filter glasses work by using a tint that adds a better level of contrast to the colors that you are looking at. Whichever tint you use will depend on your own vision and your own eyes, as well as whatever settings you normally use on your desktop monitor. These glasses are an easy alternative to changing all of the settings on your various devices. You can ask your eye doctor for the different perks of using blue light filter lenses. You can find other lenses that block UV light and glare from screens also. There are a lot of options out there for people who already wear glasses and need special care for their eyes outside of blue light filtering. If you are not very fond of using glasses while facing the screen you can consider blue light filter app like Iris. The app features various filters that filter out the unwanted blue light based on the lightning in your surroundings. We should be doing all that we can to save our eyes from fatigue and strain. We live in a world surrounded by screens in our hands, in our homes, and everywhere, meaning we need to be much more conscious of the strains our eyes are enduring. So, let’s take some time to consider one of our most precious senses, our eyes, and how we can change our technology and habits to better fit our bodies, rather than the other way around.